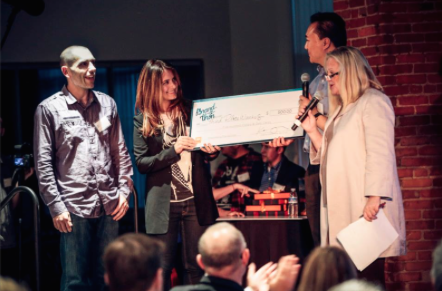 Idea Space is thrilled to sponsor The Ad Club’s 2015 Brandathon! Inspired by the March 2014 announcement of the Start Tank, Kathy Kiely, President of the Ad Club, decided to start the first ever Brandathon competition to bridge the gap between Boston’s Startup and Agency worlds, providing startups with world-class agency talent that they would otherwise have no access to. If last year’s 2014 highlight video is any indication of what we can expect from this year’s event, you don’t want to miss it! Starting today, Boston startups are invited to upload a 60-second video to a custom site designed by SapientNitro, pitching their business for a chance to be voted to the top and paired with one of areas top ad agencies. The public will have the opportunity to “vote” for their favorite startups by sharing the submission videos across social media platforms. The Brandathon will then pair the top 12 startups with access to best agency talent in a 72-hour competition from July 24th – July 26th. The creative teams will present their work to a panel of renowned judges during the main event on August 6th, 2015. The top creative team will receive $5,000, and the top startups will walk away with their brand campaign. If you are a Boston-area startup, you need to be part of this! Apply now!